At the Dallas Rhinoplasty Center, we frequently care for patients who do not live in the immediate Dallas, Texas area. Nose surgery patients who travel to our office from other regions must arrange for accommodations when planning their surgery. Our office is happy to provide information that can aid in this process. Love Field airport is 20 to 25 minutes from our office. Dallas Fort Worth airport is 40 to 50 minutes from our office. Cab service or car rental is available at each airport. Shuttle service is available through Super Shuttle, at 1-800-BLUE-VAN. These are some of the Dallas, Texas hotels that out-of-town nose surgery patients can stay in when they visit us. Those marked with an asterisk may offer discounted rates for patients who mention that they are visiting Dr. C. Spencer Cochran when they make a reservation. Love Field airport is 15-20 minutes from our office. 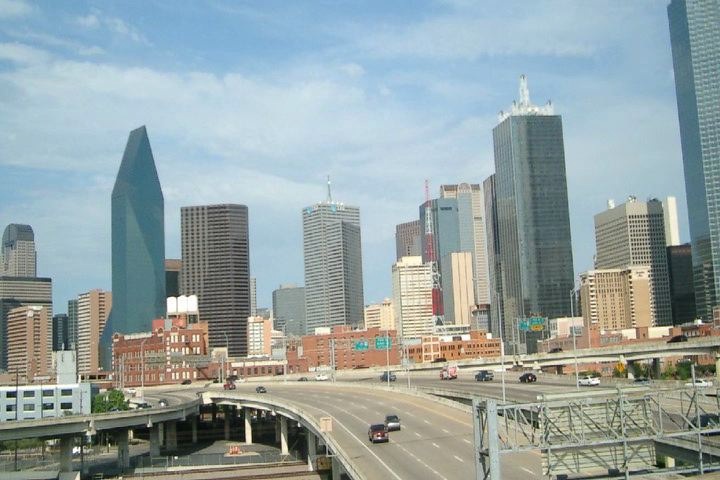 Dallas Fort Worth airport is 35-45 minutes from our office. Cab service or car rental is available at each airport. Shuttle service is available through Super Shuttle, 1 800 Blue-Van. Note: Costs quoted below are approximate and will be confirmed by the driver! Since patients are not able to drive following nose surgery, we recommend using one of the following services to get around during your stay. If you are traveling to our Dallas, Texas office for your nose surgery and would like further information or assistance in planning your trip, please contact our office. Our friendly staff will be happy to help you.